Forwood Production’s partnership with Thomson Sawmills allows us to create sustainable wood fuels at a cost effective price. The Sawmill produces timber products for retail, trade and bulk customers from agriculture to the construction sector. 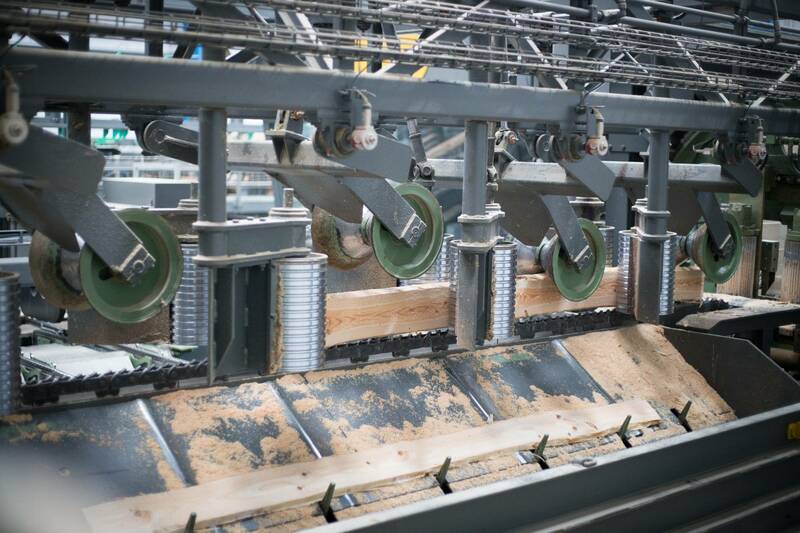 The Sawmills is equipped with advanced machinery that will assess each individual log in order to calculate the most efficient way to cut the log. The material that cannot be used in the mill is chipped and screened; typically this material is 45-55% moisture. Most biomass systems are designed to operate on fuel with a moisture content of 25-30%, so at this point we move the woodchip into our dryer where we carefully manage the moisture removal. To ensure the drying process is as efficient as possible we have invested in one of the most advanced woodchip drying plants in the UK. While most drying systems will only be around 45% efficient the Forwood System employs complicated heat recovery and as such deliveries efficiencies closer to 90%.